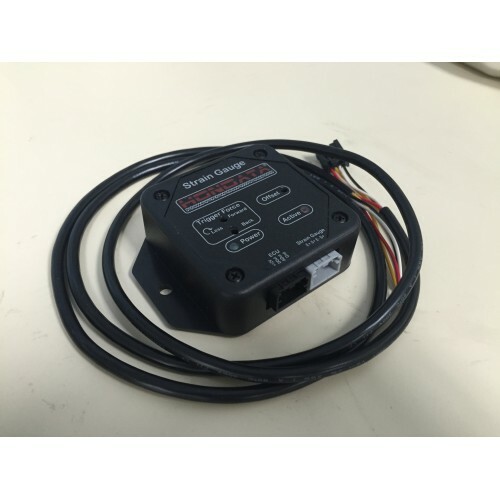 The Hondata Strain Gauge (patent pending) is a gearshift mounted strain gauge sensor and remote strain gauge amplifier, which signals the ECU to cut the engine when the gear lever is moved. This enables very quick no lift shifts with dog engagement transmissions. 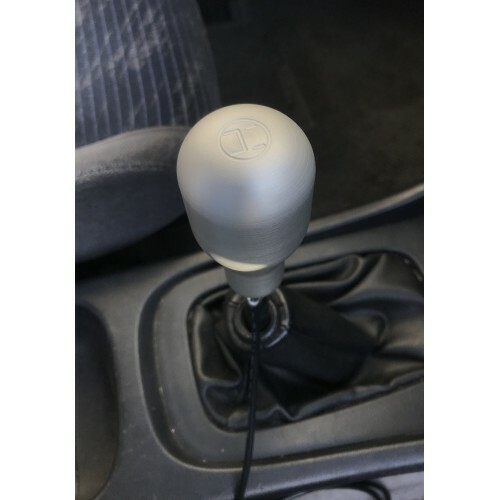 The aluminum insert has two bonded Omega® strain gauges which change electrical resistance very slightly when force is applied to the shift knob. Due to magic the very slight difference in resistance gets converted by the Strain Amplifier to a voltage which can be used by the ECU to determine when you are applying force to the gear knob to start to shift gears. Adjustable cut threshold for both forward and backward gear lever movement. Simple 'no laptop' field adjustment with a screwdriver. Analog (voltage) output proportional to gear level force. 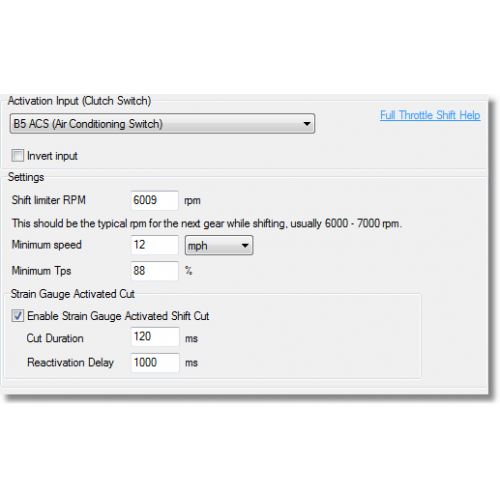 Trigger output for ECU engine cut. Precision internal amplifier for accurate force determination. High quality Omega® linear strain gauges. Temperature compensation for consistent operation. Can I use with with synchromesh transmissions? 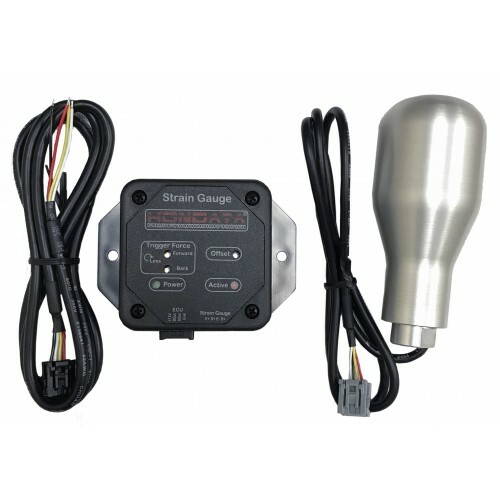 Adapts the strain gauge (M10-1.5 female threads) to work with a shift lever using 7/16-20 male threa..